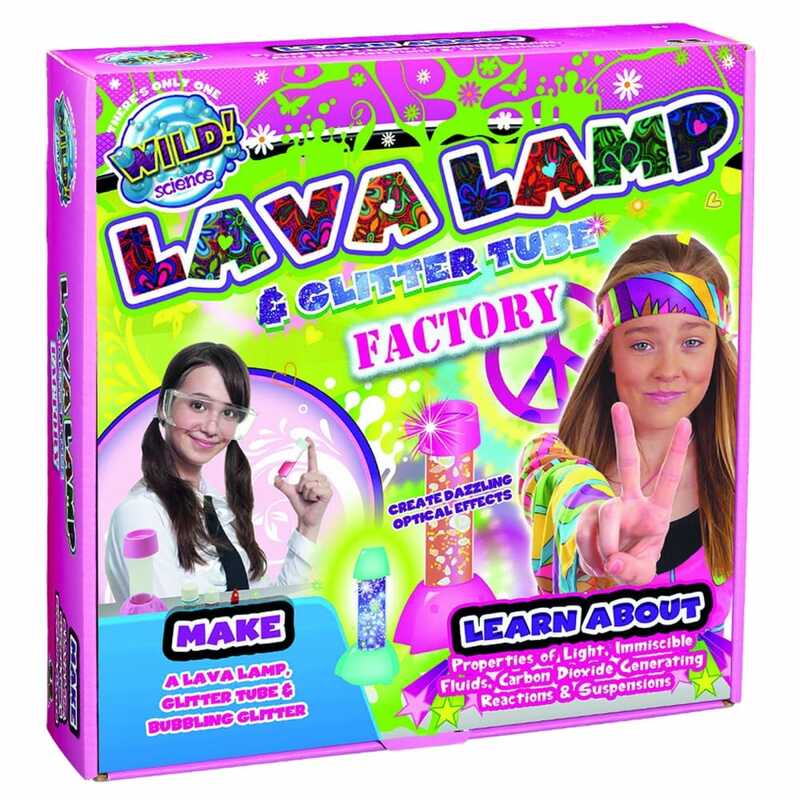 Make your own light-up bubbling lava lamp and shimmering glitter tube to display in your room! Create dazzling optical effects by reflecting light from glitter and bubbling water. In the glitter tube, the glitter is suspended in a thick liquid called glycerine. Each piece of glitter is a tiny mirror that reflects light and with lots of tiny mirrors, the light is scattered in all directions to create a sparkling effect. In the lava lamp, a fizzy chemical reaction between an acid and a base, produces bubbles of carbon dioxide gas, creating a spectacular effect that looks just like an underwater volcano! Contents: glitter tube filled with glycerine, glitter tube base and cap, lava lamp jar, lava lamp base and cap, red colouring, flasher, mould, spoons, stirring stickers, pipette, beaker, gloves, sodium bicarbonate, citric acid, glycerine solution, instructions and safety sheet.